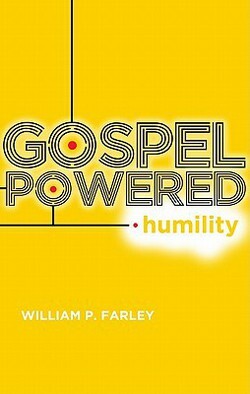 Gospel-Powered Humility by William Farley is a supercharged powder-keg for radical, God-centered Christian living. There is much to commend in this little treasure. A simple review will not do it justice. Farley underscores a major paradox that runs through the book: “The proud man think he is humble, but the humble man thinks he is proud. The humble man sees his arrogance. He sees it clearly, and as a result he aggressively pursues a life of humility, but he doesn’t think of himself as humble. The proud man is completely unaware of his pride. Of all men he is most convinced that he is humble.” The author exposes and addresses this paradox throughout the remainder of his work. Part two applies the gospel to the humble man. The author shows how people are humbled by God’s wrath, the final judgment, the sinfulness of sin, gospel-centered faith and preaching. This section hits readers between the eyes and does a terrific job of revealing the biblical categories for life change. Finally, part three addresses the fear of man and humility in leadership. The practical application in this section is certainly worth the price of the book. Gospel-Powered Humility is one of those books that never made it to the best sellers list. William Farley writes with strong biblical conviction which is laced with pastoral wisdom and sensitivity. If readers long for a feel-good book that panders to sin and strokes the ego, look elsewhere. But if readers are looking for truth which transforms, look no further than Gospel-Powered Humility.